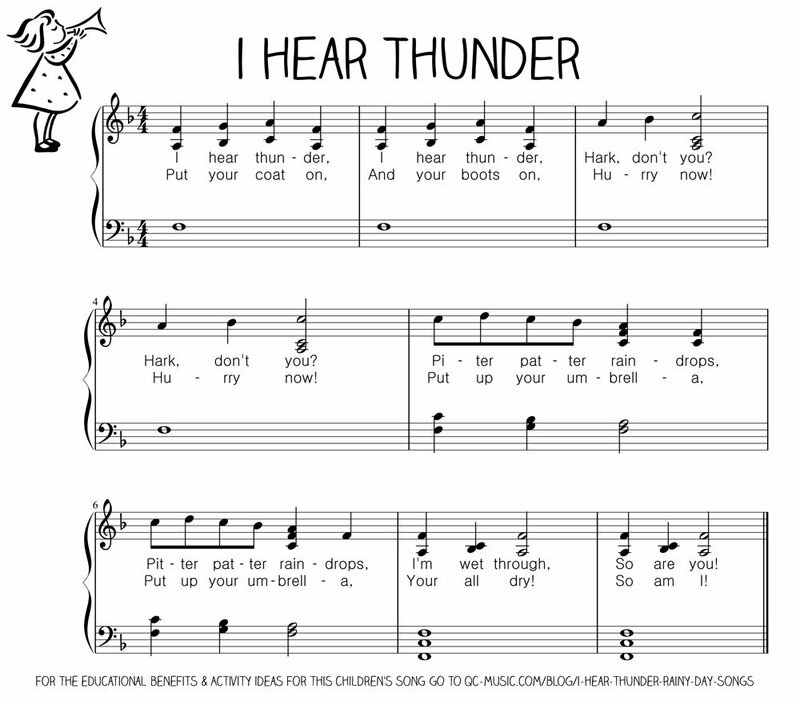 I Hear Thunder is perhaps the most familiar of the rainy day songs, easily remembered because it borrows the tune from Frere Jacques. 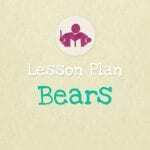 It’s small range and simple tune makes it easy even for very young ones to grasp, and older children can enjoy singing it in a round. 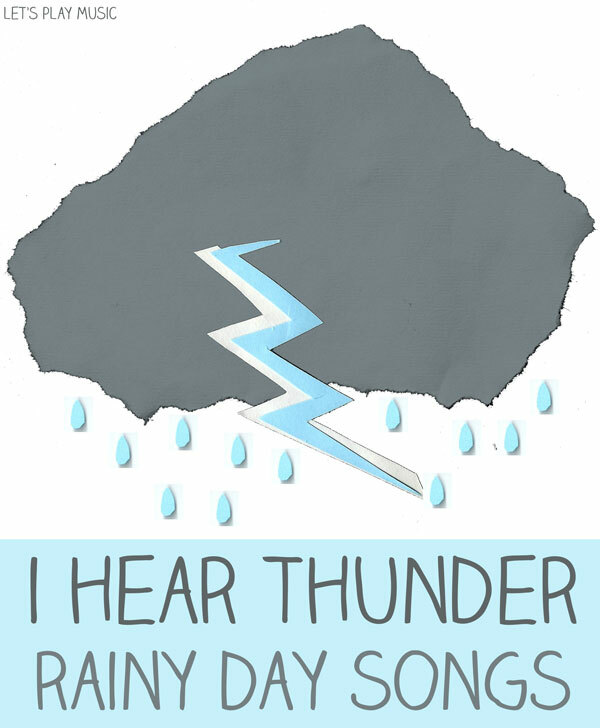 This song can be sung just with the actions or if you have some percussion instruments, you can have lots of fun making the sounds of the rain to accompany the song with triangles and tambourines. 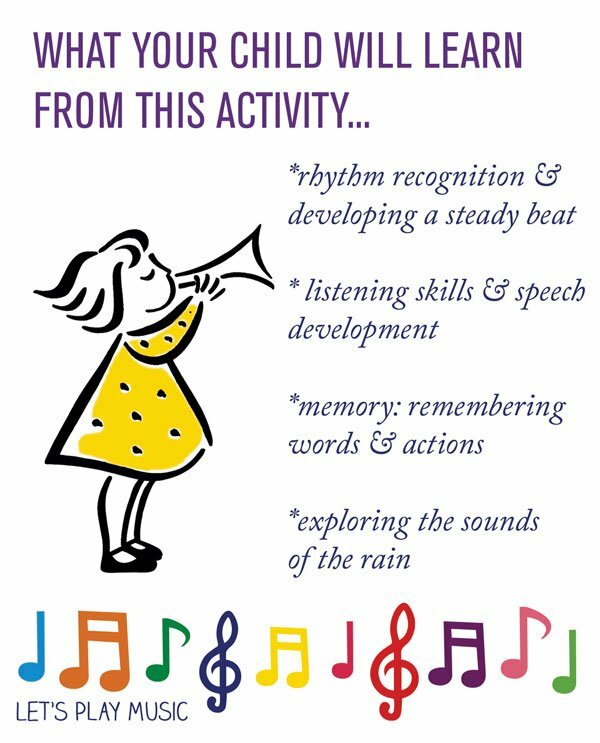 After you have sung the song you can improvise a rain storm with percussion instruments; if you don’t have any, anything noisy will do, such as spoons on biscuit tins! 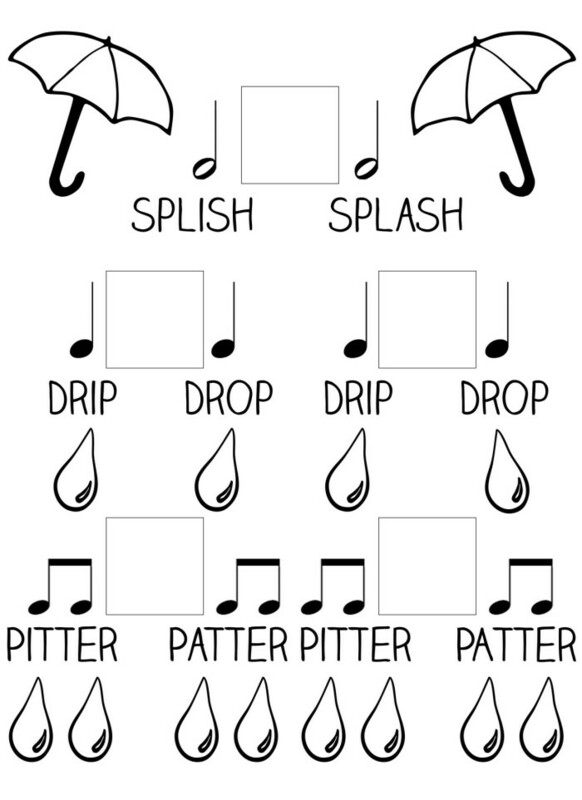 Using the Rainy Day Songs Sheet (click to print), demonstrate and practice the pitter-patter and drip-drop sounds. Start softly like a little light shower and get gradually and steadily harder and louder until it really does sound like a thunder storm! 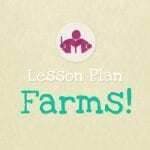 It’s an excellent way to let off some steam when you’re cooped up inside! but you’d better warn the neighbours first! 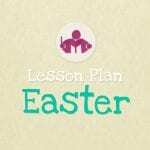 You can check out my rain themed music lesson plan for inspiration on how to use I Hear Thunder in a music lesson.